I surveyed my students on what they find difficult about working with groups and the most common answer was – you guessed it – something to the tune of “I end up doing all the work”. On a completely unrelated note, another pretty common answer was that some people hog all the work. Ha! Let’s cut to the chase – how might you try to address the issue of the “hogs and logs”? Here’s one of the ways I address it. 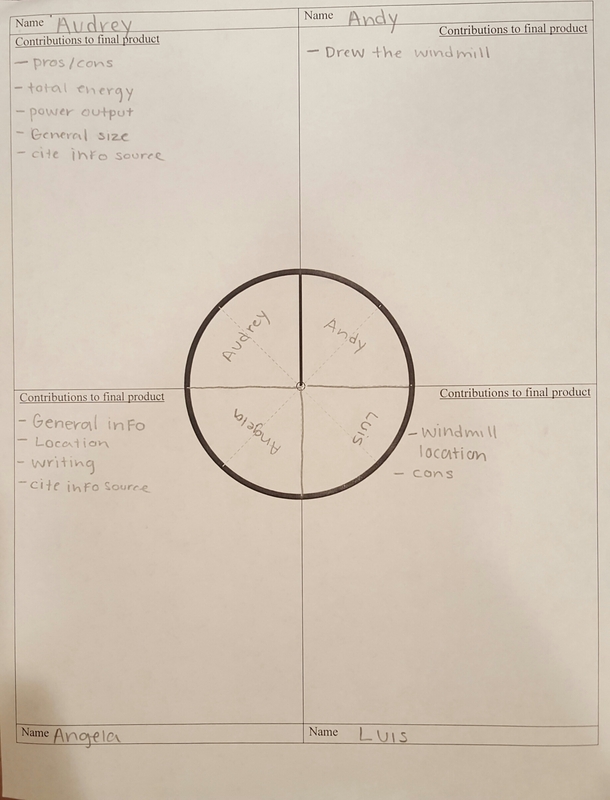 If one of our goals of group work is to facilitate collaboration skills, then I want to encourage my students to open up communication between them and their partners. How often do we ever have issues with someone – colleague, boss, friend, loved one – and in the end conclude it was a “breakdown in communication” or some sort of “misunderstanding”? Sure, some people actively avoid doing work, but issues of hogs and logs are magnified when you throw miscommunication (or lack of communication) into the mix. 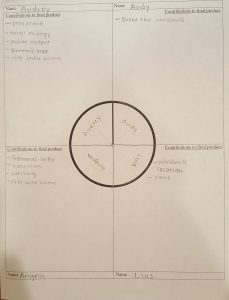 Here’s the tool I’ve been using to encourage communication about group member issues while also building in accountability (aka, how it affects their grades). One copy of the following form is given to each group. Students are instructed to fill out the form together with their group mates. They must put their names and list their own contributions to the final product. Then, they must collectively decide how the “pie” will be split. Let’s say we have 4 group members and they all agree they contributed equally. 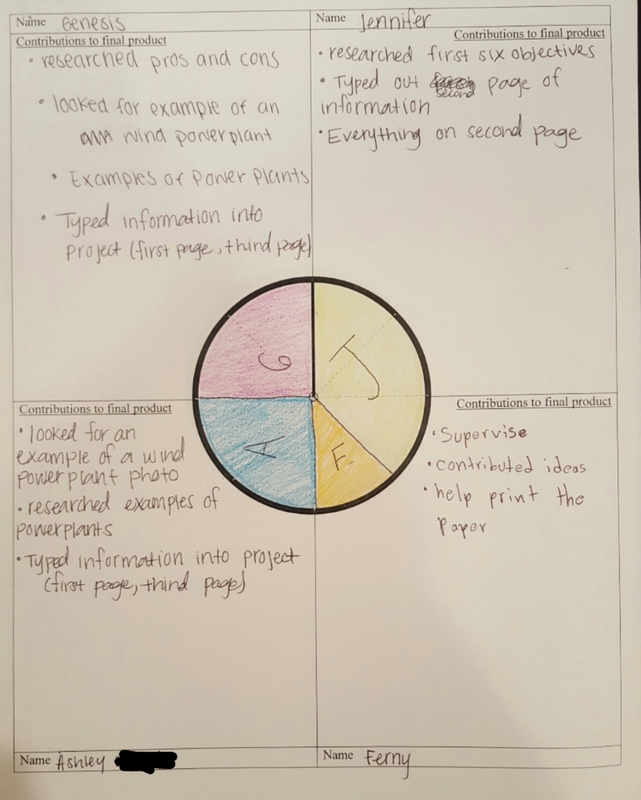 They then visually split the pie into 4 equal slices and every group member gets full credit – meaning if their project earned a 7 out of 10, every group member gets a 7 out of 10. What if they agree imaginary Member C did significantly less work than Members A, B, and D? Then they would show a smaller slice for Member C and that student would lose points proportionally (or you can subtract a flat number of points). I tell my students ultimately it’s their call how they want to split it. If someone was absent all week and you still want to split it equally, your call. Now, at this point there’s some confusing parts about the pie (which I’ve modified since – see later in post) and the math may be a headache, but these are mere details you can change for your own situation. Let’s get to the meat of this. This process is done at least twice throughout the project: One time at the end as an evaluative tool, but more importantly, it is done one time about mid-way through the project – NO-STAKES – as a tool to prompt discussion. 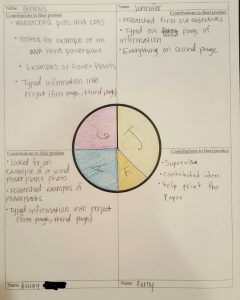 About half-way through the project, I explain to my students how the form will be used at the end. The point is “You will be graded based on your level of contribution to your group”… BUT you will go through the exact same process right now – for no stakes. This is crucial because the point of the tool is not meant to be a “gotcha” or a time for everyone’s passive-aggressiveness to manifest itself. 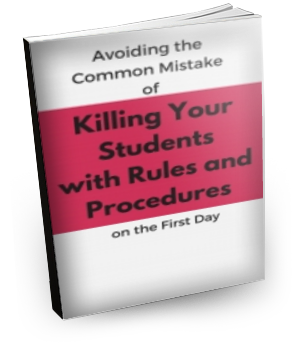 The mid-point checkup is meant to prompt students to bring up who has been doing what and who hasn’t been doing what – while there is no threat to anyone’s grade and while there is still time to change one’s behavior based on peer feedback. Without the mid-point checkup, any constructive feedback given during the final evaluation just becomes an argument of well how was I supposed to know and it’s too late to do anything about it anyway. 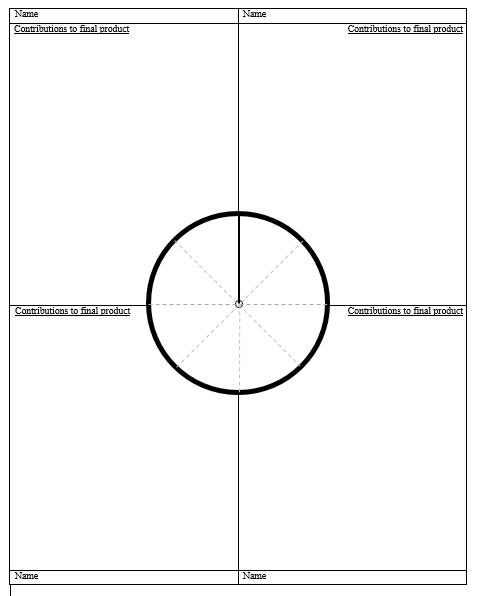 In an ideal world, the mid-point checkup will cause students to make the changes needed to feel comfortable all agreeing on splitting things evenly in the final evaluation. If you feel a group mate is not putting in enough effort, you can choose to bring it up now – as awkward as that can feel – or you can choose to stay quiet about it and say you all should get equal credit. However, this is a choice you make right now – you are being given the opportunity. If you pass up this chance and later you feel it’s unfair the other person got the same credit for doing what you feel is less work, know you actually had a chance to do something about it and you didn’t. These conversations can be hard and they can be awkward, but it’s a skill that you can build and get more comfortable with the more you do it, so the best time to start practicing is now. You won’t always have a teacher or someone trying to make things fair for everyone, so you have to start developing your own abilities to influence a situation you don’t like – and that usually means stepping out of your comfort zone. Student A may feel he’s pulling all the weight and that Student B is lazy, while Student B feels there’s no way she can contribute because Student A hogs all the work. It’s possible both students are well-intentioned but these sentiments don’t come up unless there’s a conversation. And obviously no possible resolution until both parties get a more accurate view of what the problem really is. Of course, students may also have trouble verbalizing criticism of others and are afraid of sounding like jerks for saying something, so sentence stems may help them put their thoughts into more tactful words. 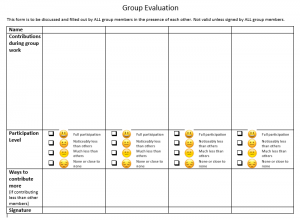 Some variables may greatly affect the use and usefulness of this tool, such as your criteria for how you expect students to contribute to their groups – for example, is it by effort? By equal completion of the task? By their effectiveness at an assigned role? If you’re new to structuring group projects, make sure you read up on other factors that can greatly influence group effectiveness, such as assigning roles, choosing group size, choosing grouping methods, and improving group dynamics with stuff like ice breakers.